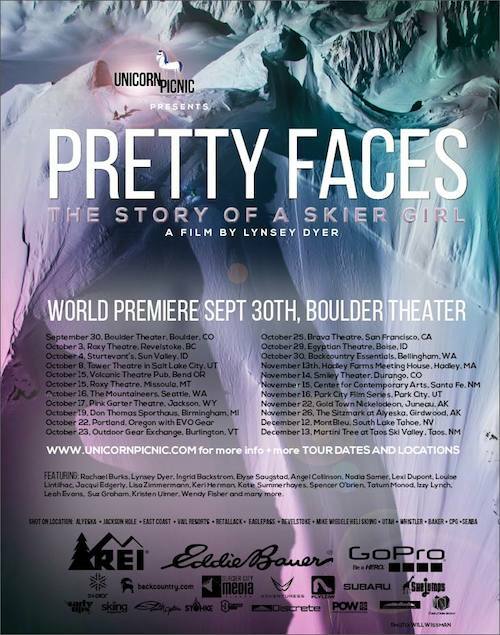 It’s no surprise to me that Lynsey Dyer’s crew picked Boulder for the debut showing of Pretty Faces. And it’s not much of a surprise that the show sold out, either. Boulder Theater was packed with people – more women than men, but plenty of both – to celebrate skiing, to celebrate women skiers, and to build some serious stoke for the coming ski season. Pretty Faces. What can I say? I loved this movie. It’s strange, but a lot of ski movies don’t have enough actual skiing. Pretty Faces does not suffer from this problem. 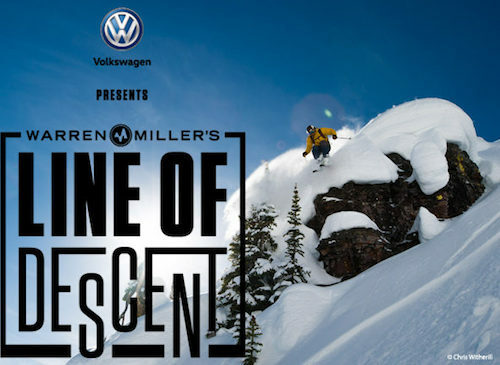 It delivers shot after shot of women hucking cliffs, charging through pow, and owning steep descents. 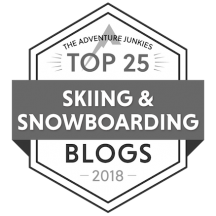 Professional athletes talking about why they ski. Little girls giggling as they learn how to ski. Middle-aged women bouncing up and down in their chairs, talking about how excited they are every morning to go ski. I’ve never seen a ski movie that so completely represented how I feel about skiing – giddy, gleeful, grateful. Maybe a little obsessed. And the skiing. I was captivated. As the audience around me hooted and stomped and screamed whenever another female athlete was introduced, I just kept leaning forward in my chair and whispering, “Oh man. 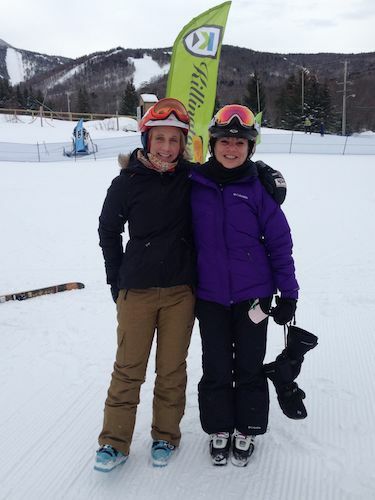 Oh my god.” The skiing was so beautiful, so aggressive, so perfect. I ached to be there, skiing those lines. To be someone who could ski like that. To be honest, once an athlete is bundled up in ski gear and getting face shots while skiing bottomless pow, you can’t always tell if that’s a man or a woman. But I don’t think that’s the point. The point is that when I’m skiing and I see a guy ski an aggressive line or huck a rock, I appreciate it, but it doesn’t impact how I ski. But when I’m skiing and I see a woman ski an aggressive line or fly off a jump? It’s different. Suddenly, it seems possible. Pretty Faces is an entire movie filled with women expanding my concept of what is possible. Before seeing this movie, I went primarily to show my support for the idea – to help prove that an all-female skiing movie was viable. And that’s still a good reason to go. But a better reason to go is this: Pretty Faces is one of the best ski movies I’ve seen. Go watch it. For more info on Pretty Faces, go here. *Data from the Pretty Faces’ Kickstarter website. PreviousWhat’s new in Vermont for the ’14/’15 season. 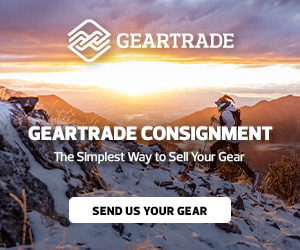 NextSurfing your way to better skiing. I have a letter in SKI Magazine! 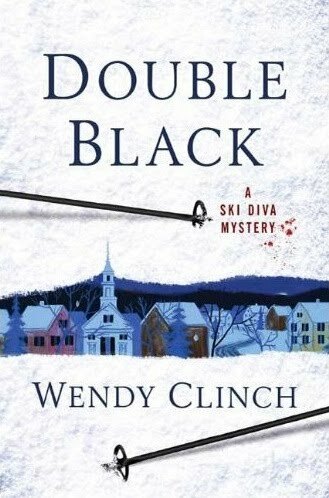 Sorry but it’s not the first all girl ski movie. You need to keep track of things like that before putting in the title. Check out generation flinga that had its premiere in 2009 in the US and a little bit earlier in Europe. Give credit where credit is due. Otherwise keep up the good work. ….well, if I wasn’t ready for winter before I most definitely am now! Fearless Pretty Faces! Hope we get to see this in Europe. Well done Lynsey Dyer and everyone involved. 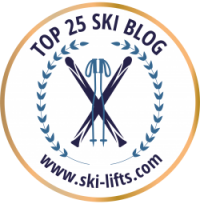 What does your number of ski days say about you?